Several litigants have filed a purported class action lawsuit in the U.S. District Court for the Southern District of New York alleging various fraud-related claims against the U.S. Green Building Council, which is the owner of the LEED cerification system for buildings. (Gifford et al. v. U.S. Green Building Council et al., 10 Civ 7747). 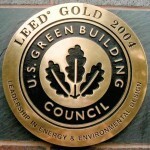 The purported “class” includes persons who have paid for LEED certification of their buildings, design professionals (i.e., architects) whose livelihoods have been harmed by the LEED system and municipal taxpayers whose local governments have spent millions building and seeking certification of public buildings based on LEED standards. The causes of action include alleged violations of the Sherman Anti-Trust Act, which prohibits monopolistic business activities; the Lanham Act, which prohibits false advertising; the Racketeer Influenced Corrupt Organizations Act, which prohibits conspiracies to commit fraud; and related state laws. 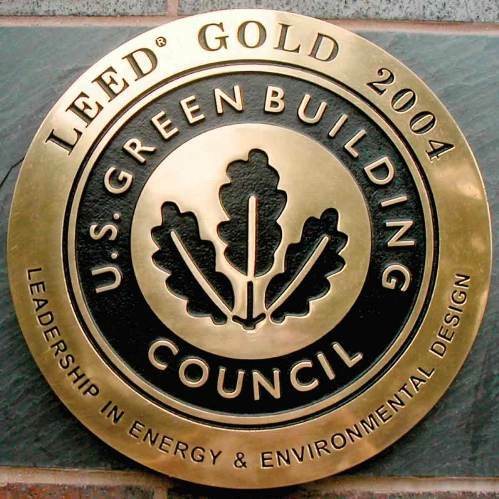 Building owners often pay thousands of dollars to obtain LEED certification for their buildings from the U.S. Green Building Council. Certification typically means that a building has been designed and built to meet certain green performance standards. But operations sometimes fall far short of the anticipated water and energy savings. While there are other “green building” programs in the United States, LEED has absolutely dominated the field. And, increasingly, states and municipalities are making LEED the law by incorporating it into local building codes. All this has led to an uneasiness among some Americans, who are fearful of basing building standards on a private money-making system. The trend in the United States is reaching a peak in this author’s opinion. California this year adopted a state-wide green-building code that takes the best parts of LEED and other green-building standards and makes them law. The explicit goal of the code is to eliminate reliance on private (and costly) building certifications such as LEED. As green standards become the norm, I expect them to continue to migrate into public building and energy codes. All this will make LEED irrelevant one day. Disclosure: I am a LEED “Green Associate,” which means that I took the U.S. Green Building Council’s certification exam and passed. The exam fee: $250. The study materials: more.